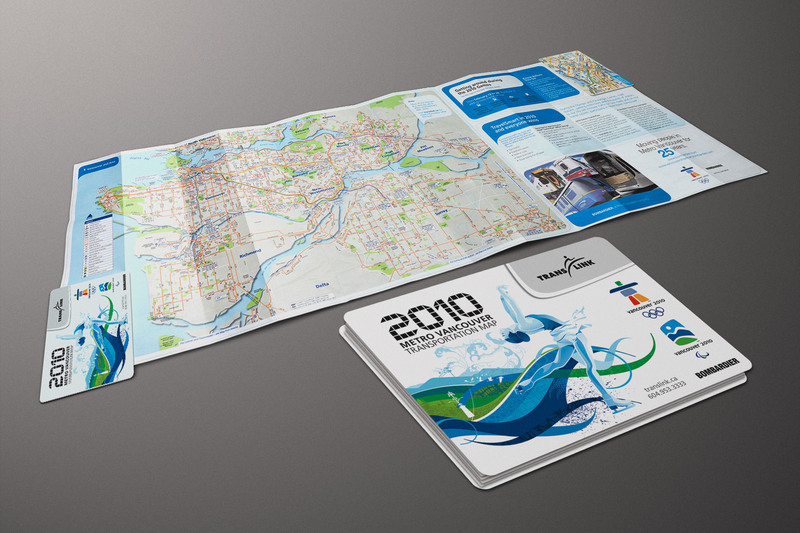 TransLink required a design for the 2010 Winter Games Commemorative Transit Passes. Three Zone Passes and a Concession Pass needed to be designed. Each was colour-coded and had a custom Olympic illustration. 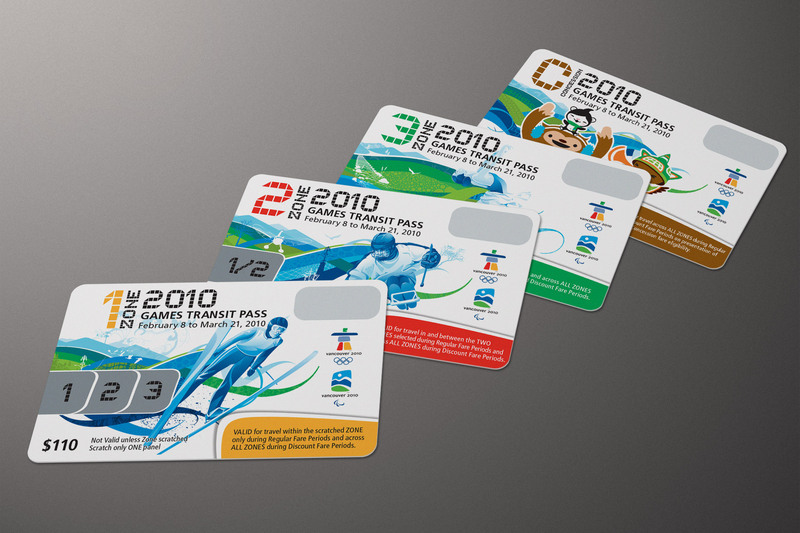 The passes were valid for six weeks, to encourage people to continue using transit and experiencing the city, once the crowds had departed following the Games. 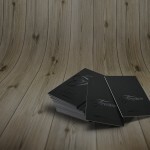 The passes were produced on a hard, plastic material and marketed as souvenir editions. They were sold with a commemorative Olympic Transit Map. 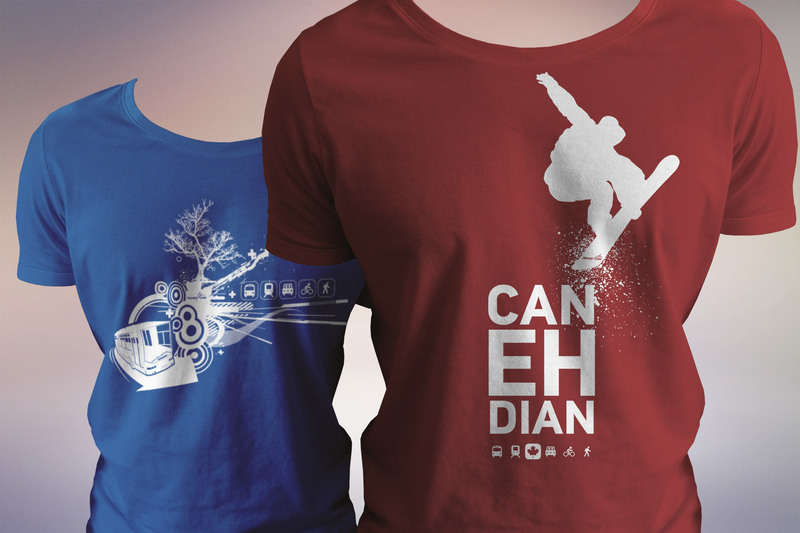 In addition, T-shirts were designed to stoke Canadian pride and promote transit use. TransLink branding was purposefully played down on these, in order to make them more appealing.